Food is the (R)evolution. There is no other. We just passed the Winter Solstice in the Southern Hemisphere. The darkest day of the year is now gone. From now on, each day will add more and more light. The sun will rise earlier and earlier and it will set on the other hand, later. All life on this planet is connected to this cycle of darkness and light. Darkness and light. Too much darkness and it collapses and too much light and it also collapses. On our small backyard garden, sweet potatoes are growing well. Carrots and lettuce are also striving through the cold days. The basil, sage and tomatoes are dead. They did not resist the cold weather here in Cape Town, South Africa. The vine dropped all the leaves and sleeps waiting for warmer days to come. On a shady corner, our compost pile is producing compost non-stop since the day we started the garden and it provides us with excellent fertiliser all year long. For free. This garden provides maybe 2% to 5% of what we eat during winter time and it requires something that I am lacking. Dedication. It could provide more, much more. I have to put my energy into that garden for things to happen. But I’ve been busy lately. With other non-vital stuff. Farming (organic) requires effort. Food is the only top priority. Everything else is an illusion. The whole planet is a huge food chain. The problem — the way I see it — lies in the fact that most of us take food for granted. We don’t even think about it. Craving for pasta with fresh tomatoes in the winter? The supermarket has it. It has everything throughout the whole year. If it is winter time, we make that tomato travel a long distance from another hemisphere to our shelves or we will use artificial methods of production (i.e. greenhouses, fertilizers, etc). I couldn’t agree more with Raj Patel who says that “We are increasingly disconnected both from the production of our food and from the joy of eating it.” Food is just there. Who cares how/when/by whom it was produced? In 2011, one billion people were undernourished (Patel, 2012). At the same time, 1.5 billion people were overweight (Patel, 2012) and this doesn’t mean they were nurtured properly. Something between 30% to 50% of our food is wasted before reaching the human stomach (Stuart, 2009; Institution of Mechanical Engineers, 2013). Can you fit these three numbers into a single equation with a positive result? What I like about Tristran Stuart’s point of view is that he did the calculation on food waste pointing to the fact that the waste per se is just the tip of a huge “iceberg”. Can you imagine the amount of land, fertiliser and other inputs — money, water, human effort — to produce something that goes straight to the bin? Our population is growing and in 2050 we’ll be 9 billion people on this planet. The biggest challenge of our time is not the coolest model of drone that can be mind-controlled or about the houses that we can print, it is about how to feed 9 billion people within the limits of this planet (for now we have only one, hey?)! I still remember the amazing movie Interstellar. To me, it brought two beautiful messages (stop reading this paragraph, spoiler coming). One is that love is the one thing that can go through different dimensions and the other is that, at the end, it is all about food. And thinking about movies, The Martian also carries a message about food and food production. But again, most of us are navigating blind(ly) because food was always there and will always be (will it?). We eat every day (most of us reading this). What did you eat today? Where does it come from? Is it in season? Can you remember what did you have for lunch yesterday? For us, in general, it came from a shelf in a supermarket. 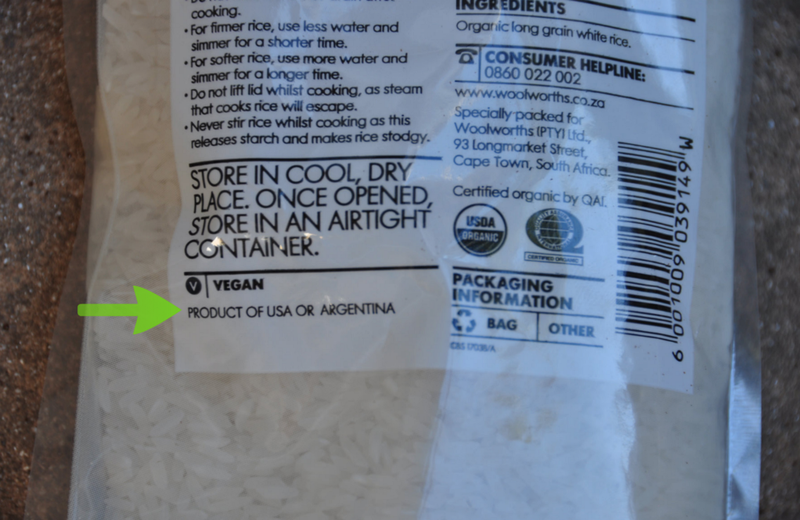 We’re not sure it was in season if it was produced in a way that doesn’t harm the environment and — we have basically no idea where it came from. No, don’t get me wrong, I am not going to be another one talking about how cool is to be vegan or how amazing that chef is who is serving ants covered in gold (because it is cool to be local, right?). No. Not everyone can plant (or harvest) their own food, I am deeply aware of that. But those who can, and grow their food in natural ways, are absolutely aware of things that are not visible to the vast majority. Every time we see a new bug in our garden, my daughter is curious about the role of that bug. Is he eating our parsley? Who is the other bug or bird that eats this bug? What is the plant he doesn’t like? By doing some research around that “simple” bug, we understand more and more about the ecosystem he is immersed in, which is, by the way, the same ecosystem we are immersed in. We connect to this place. We also “loose” 30% of our strawberries to the slugs. We have the best strawberries on the planet. Red, sweet and juicy and 100% chemical poison free. My daughter is allowed to eat our strawberries and also others from a friend who lives 40km from our house, who also farms using very old methods that came from India. By eating strawberries that grow only during the summer, we do appreciate the taste; we are present at the very moment we are eating it. We know that they come only for a short period of time and it will take a while (actually, nine months) for them to come back. The cycle of the strawberry also teaches us about patience and strategy. 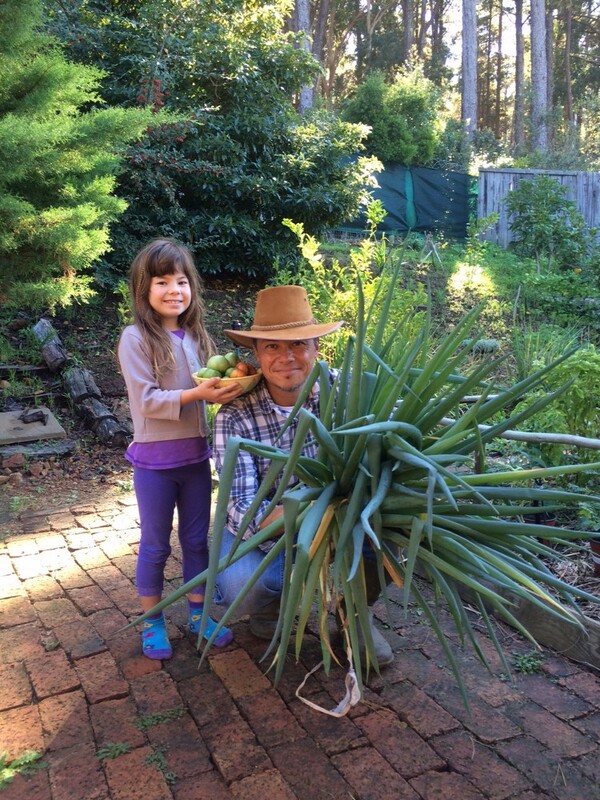 Hands on the soil are different from buying something that will farm automatically for you! Replacing this contact (human/soil) by high-tech solutions can buy time but can not buy this connection back. Winter in Cape Town is cold and rainy. The perfect time for us to go to the forests nearby and forage for mushrooms. I can identify with 100% certainty, at least four species that are edible and delicious. I can also identify one of them that is deadly poisonous. My daughter can do the same. We also learn about indigenous plants that can be used in our diets. What kind of indigenous plants can we add to our plates? 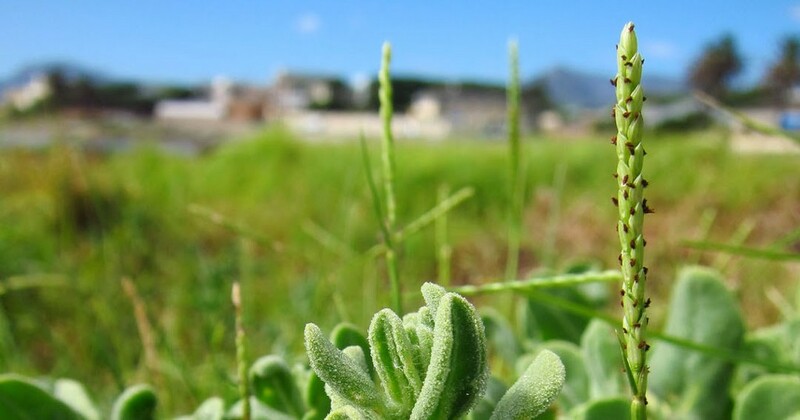 Indigenous vegetation grows according to the local climate and soil conditions so there’s no need for artificial fertilisers or inputs. To look for indigenous food is also a way of connecting to the history of the place and its inhabitants. What did indigenous people eat before industrial agriculture came in? Do you know your farmer? I know a few of our farmers. It is probably impossible or difficult to know the person who harvested the salt from the sea or the black pepper from the tree but, what about your provider of carrots? Strawberries? Bread? Honey? Our honey comes from a couple who have a few urban bee hives. Every month, I stop by their house and ask them to give me the best honey they have. And this usually leads to a conversation about the different taste each one of these hives provides because each one of them is exposed to different flora. This sometimes leads to an invitation for coffee and sometimes, tasting sessions and even business opportunities. This honey is bought for R40,00 (about US$ 3,00 — three US dollars) for a 375ml jar. The price of “regular” honey at the supermarket is R52,00. 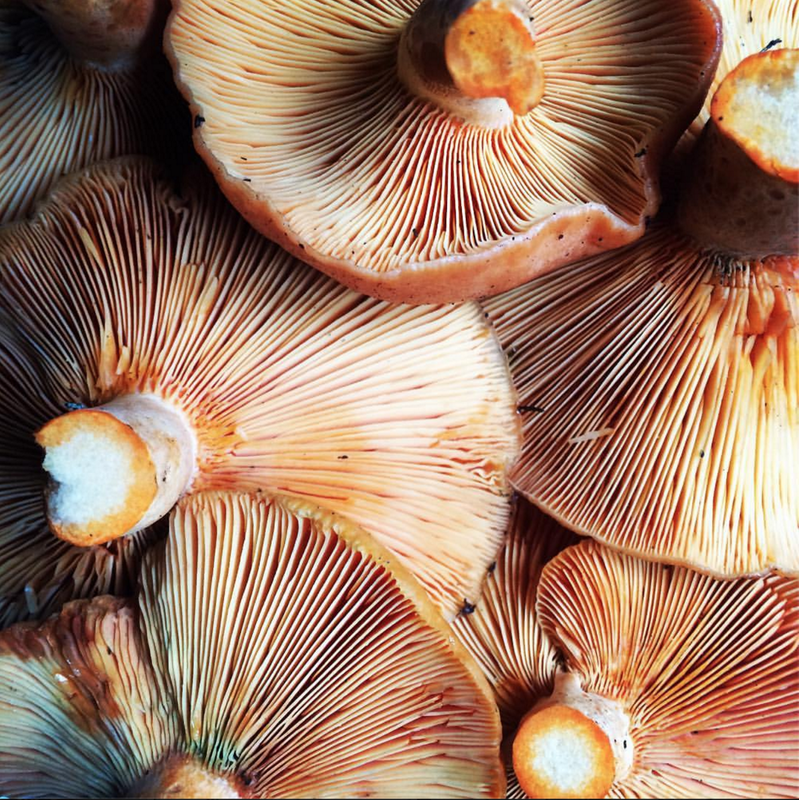 We learn about mushrooms from a local expert who has been foraging for more than 20 years — and he is still alive (no joke). I also learn about indigenous crops with another local master; a woman who has studying this kind of food for decades. Our strawberries — as said before — come from a small farmer who strives to use only old and traditional methods. He is one of the few who still plows using oxen, and there is beauty in it. When I go there to harvest some strawberries, I end up buying seedlings for lettuce, spinach and other veggies that I bring to my garden. In exchange, sometimes I also offer some seeds from our celery or fennel. If I need something else (like eggs) I’ll ask any of our “suppliers” and they will easily point out a friend or someone who also shares the same ethics about farming. Buying straight from the farmer is also an amazing opportunity to pay less! 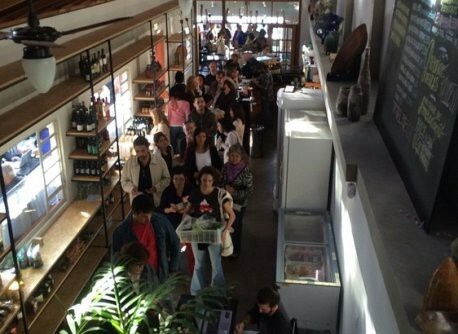 In São Paulo, Brazil, my hometown, a small initiative is causing a revolution. Instituto Chão is an NGO that sells organic food for the same price (yes, you read it right) as the producer sells to them. The business model? It is based on donation. They are absolutely transparent about the prices they pay to the farmer and also the amount of money needed to keep their small store open (to rent the space, to pay the salaries, etc) and they suggest a “better price” to be paid to cover all these costs but at the end, it is a choice for the consumer. The result? They are sold out on a daily basis. Farmers markets are also a beautiful opportunity to meet your farmer or even the one that bakes your bread or makes your preserves. 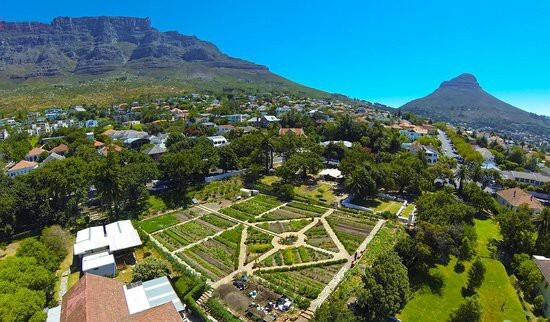 The Oranjezicht City Farm started as a community project where a very upmarket neighbourhood in Cape Town decided to use an “abandoned” plot to start an urban farm. Three years later they are one of the busiest farmers markets in the city. 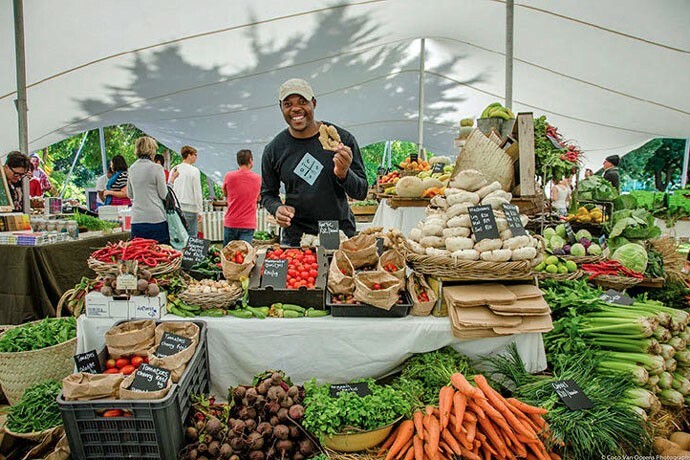 Every Saturday morning, produce from the farm itself and dozens of other small farmers gather at the city’s most prestigious address — the V&A Waterfront — to sell their veggies, meat, eggs, and bread together with other food stalls selling amazing food made by locals. The market is absolutely crowded with people from 09.00 am to 03.00 pm every Saturday. On another corner of the city, in a very poor neighbourhood, food is also being used to bring people together around organic farming. Helping people to eat better and also lifting them from poverty, Abalimi Bezekhaya is an initiative that is feeding people with hope. The first time I heard about the term “EATpreneur” was during a conversation with a Brazilian friend — Leticia Janicsek. I like the way it sounds and it is a good summary about a trend that is not only “cool” but very much needed! EATpreneurship might be a nice way to put together “eat” and “entrepreneurship” in a single word. “Foodpreneurship” might also work. The opportunities in this field are not only very broad but crucial. In 2015, MIT launched a very interesting report about the “High Tech Food Chain”. This report pointed to two trends when it comes to the food system. The first trend is that we are already changing the way we buy food. Services and startups like Blue Apron, Instacart, HelloFresh, to name a few, raised over US$ 500 million investments in the last few years. And as I said, it’s just to name a few startups that are challenging the way we access food. Blue Apron is a service that will deliver “ready to cook” kits to your door. A very nice recipe (usually from a famous chef) with every ingredient already measured in the exact amount that is needed. Your work will just follow the instructions and ‘voilà’, an impressive meal that you prepared yourself, ready to impress your guests. Another interesting example comes from Australia and is spreading over the world. Open Food Network connects the producer straight to the consumer through a very interesting business model. For you to “put your pin” on the map is free of charge but, if you want to sell online through this platform, a small percentage of the transaction is kept by the service. Another trend that follows is about to challenge what we eat. One year ago, Google (now Alphabet) tried to buy Impossible Meats for US$ 300 million. This company found a recipe for meat that tastes like meat, smells like meat and bleeds like meat — without any animal products. Three hundred million US dollars for a vegetarian recipe? But why? Have you ever asked yourself where the meat that you eat comes from? And what are the impacts of consuming that meat? Well, in Brazil, most of the meat (cows) comes from free-range animals (how beautiful, isn’t it?). But don’t be fooled. Brazilian Free Range means that yes, animals can roam free and eat huge green pastures (instead of cruel CAFO operations) but — how much land is required for each cow? According to Brazilian scientist Sergio Rivero (2009) and many others actually, each cow has an average area of 1 hectare or 10 thousand square meters or 2.47 acres! Yes, each cow. How many cows do we have in Brazil? The country has around 200 million people and 212 million cows. And you do not need a Nobel Prize to be able to calculate the area that is used to raise cattle. And we’re not even adding to the equation the amount of soy that is farmed to help feed these cattle. If the space to grow “protein” is a problem, some companies like Chapul and Bitty Food are specialising in crickets. Yes, the little bug. But, to avoid the cultural barrier most of us have when it comes to eating insects, a smart solution — transforming the crickets into flour and then working on products (energy bars, cookies, etc) that are more “friendly” in terms of culture. 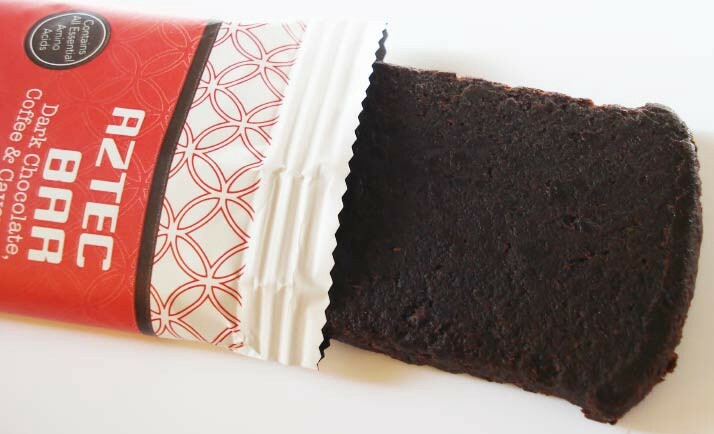 I tasted Chapul bars myself and I can tell you that I would easily add it to my diet. Most of my friends who tried the bars here in South Africa said the same. No hairy legs inside. Just a regular taste of any “energy bar” you’ll find on the market. Crickets are very efficient creatures, turning vegetables into protein very quickly and they grow in numbers. They also require much less space than cows. They leave very little or zero waste. A big part of food waste comes from the fact that we do not accept buying an ugly carrot. But, it tastes like a carrot, looks like a carrot — it is a carrot! Imperfect Produce specialises in “not-so-beautiful” veggies. Taking them straight from the farm to your doorstep. Helping to reduce food waste and at the same time slowly changing the culture around “ugly food”. But this is not new! At all! “Innovation” is always in the eye of the beholder! When I lived in Eugene, Oregon I used to buy food at Sundance Natural Foods. A small supermarket that has been there since the seventies! Everything that is trendy nowadays — like taking your own jar to buy honey, a shelf dedicated to ugly fruit or veggie, produce without any kind of packaging — can be found there. These guys have been doing this since 1971! When it comes to food, I feel that we are going BACK TO THE FUTURE! The solutions were already there for decades… centuries. But we became spoiled by “modern agriculture” that can provide anything, anytime, anywhere. At what cost? The unique connection between humans and food can be very deep and the consequences of this connection can be very powerful as its disconnection. We are eating the planet. Throwing 30% to 50% away. And the day will come when we’ll be able to change the colours of butterflies using a smartphone app but we won’t be able to put food on the table. As we disconnect from food and make the whole process automatic, we also disconnect from the cycles of this planet and the whole of Nature itself. Food is a powerful way to connect humans to humans, humans to Nature and everything around you. It is also a powerful way to bring a community together. We all recognise, in the deepest parts of our DNA, the beautiful idea of sitting together around a table (or bonfire) and sharing some food and stories. Today, I eat accordingly to the context. Rather than being a vegan or vegetarian or any other tag that I want to add to myself. Eating according to the context means that it is nonsense to push a vegan diet to people living in Mongolia or Greenland just to name a few. It is just not possible to grow veggies in some places around the planet. In 2014 I was hiking in western (and very isolated) Nepal for 21 days. I still remember the day when our small (and starving) group reached a tiny village. We asked if they could sell us some food. The owner of a small hotel did not hesitate to kill one of his goats (basically in front of us) and to serve us a goat stew. To the most radical vegans in our group, it was an impossible mission. In my case, after a deep reflection about the fact that the man was probably offering us the best he could, I decided to eat the goat after a small silent and respectful “thank you” to the animal. Yes, go on, please judge me. I believe it is important to understand that food is just one knot of a very complex web of connections. Veganism in ice cold countries will lead to artificial inputs and methods or food travelling huge distances (adding to greenhouse emissions). Eating meat on a daily basis also has consequences as already said a few paragraphs before. Lifting people from poverty (and making them rich) in countries like China will raise the consumption of shark fin (a snob delicacy in that country) leading to the extinction of a top predator that is essential to keeping the balance of the food chain in the oceans. Food is context. Try to understand what is local, what is in season. One of the most trendy things I see (among Brazilians) is “futurism” and how amazing Singularity University is and how cool it is to use terms like “exponential age”. Most of the students that I know that came back from SU have their shining eyes looking at me when they talk about the wonders of technology and how it can address everything (even food). All humans will be able to live for 600 years (or more) without any disease. Robots will replace dangerous and manual labor, giving us more time to do the “essential”. But when I ask them things like “What does a world with 9 billion immortal humans look like?” or “What will happen to people that will be replaced by robots and lose their jobs?”, they look at me just like I am some kind of “weirdo” that just doesn’t get it. Climate change is a reality. Environmental impact is also a reality. And at the end, food production is the only technology that I know that can be used in a way that is regenerative (it can also be used in a very destructive way). Bringing life back to the soil and ecosystems. Besides that, there’s a huge (and needed) potential to spark amazing and disruptive ideas reconnecting “soil, soul and society” as said by Satish Kumar. New kinds of business around food are spreading quickly. Some of them have the potential to be really disruptive. Some ideas are simple, connecting communities around food and others are high tech solutions, replacing animal meat in order to address the consequences of animal farming. Yes, drones are cool. Yes, technology can cure diseases. Yes, we can print houses and avoid lots of waste but at the end, to me, it is all about food. “The day is coming when a single carrot, freshly observed, will set off a revolution.” Paul Cezanne. My name is Eduardo Shimahara. Most of my friends call me “shima”, and I am a mix between German and Japanese people who came to Brazil in 1910. I did have many different lives. I worked as a Mechanical Engineer, leading engineers in Spain, France and Brazil for 10 years and spent another 10 years starting a business in private higher education in Brazil. During 2012 and 2013 I and another three Brazilians travelled around the planet in search of “alternative” education. We visited 14 Schools in 9 different countries over 5 continents and interviewed more than 300 people — parents, students, founders, former students. This story is told in a book “Around the World in 14 Schools” that is about to be launched in English. The Brazilian version of this book was downloaded more than 15 thousand times. Today, living in South Africa with my family, I spend my time connected to amazing places like the Sustainability Institute in South Africa where I finished my Masters using Participatory Action Research. Every year I travel to Sweden, to the amazing Youth Initiative Program, where I work as a facilitator of deep workshops around “food”. The same subject took me last year to the Team Academy in Bilbao, Spain where I did have the opportunity to meet young entrepreneurs that were super interested in the opportunities that arise from this theme. Ackerman-Leist, P. (2013). Rebuilding the foodshed. Santa Rosa, California: Post Carbon Institute. Birnbaum, J. and Fox, L. (2014). Sustainable Revolution. Berkeley, California: North Atlantic Books. Foley, J. (2014). Feeding Nine Billion. National Geographic, (225), pp.26–59. Gravatá, A., Piza, C., Mayumi, C., and Shimahara, E. (2013). Volta ao mundo em 13 escolas. Sao Paulo: Fundação Telefônica. The Institution of Mechanical Engineers, (2013). Global Food: Waste not, Want Not. Lymbery, P. (2014). Farmageddon. London: Bloomsbury. McDonough, W., and Braungart, M. (2002). Cradle to Cradle. New York: North Point Press. Patel, R. (2012). Stuffed and Starved. New York: Melville House. Rivero, S., Almeida, O., Avila, S., and Oliveira, W. (2009). Pecuária e desmatamento: uma análise das principais causas diretas do desmatamento na Amazônia. Schulschenk, J. (2010). 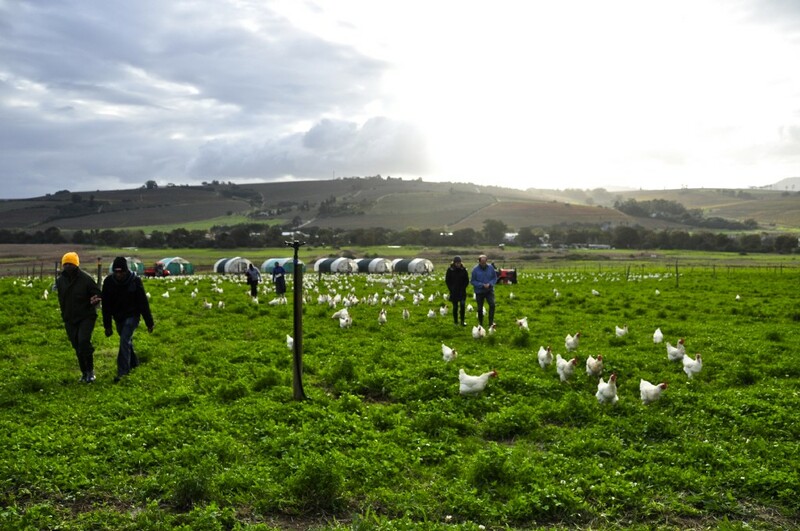 Benefits and Limitations of Local Food Economies to Promote Sustainability: A Stellenbosch Case Study. Master. The University of Stellenbosch. Stuart, T. (2009). Waste. New York: W.W. Norton & Company Inc., p.306. By admin|2017-06-19T18:58:43+00:00June 19th, 2017|Não categorizado|Comments Off on Food is the (R)evolution. There is no other.